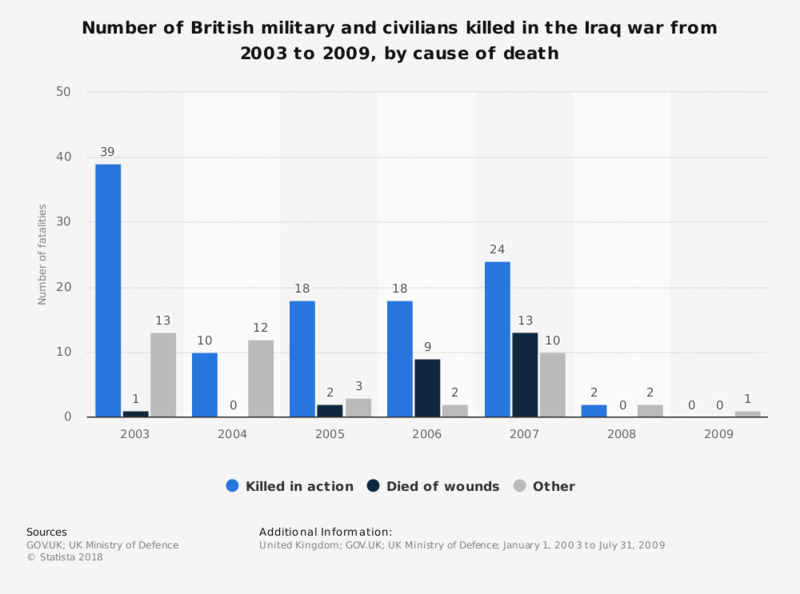 This statistic shows the number of British soldier fatalities in the Iraq War in the period between 2003 and 2009, listed by cause of death. In 2003 there were 39 British soldiers killed in action in Iraq, which constituted the highest number of deaths throughout all the years. Original Source: Defence Analytical Services and Advice (DASA) was an executive agency and statistical and economic unit within the MoD. Defence Analytical Services Agency has closed.